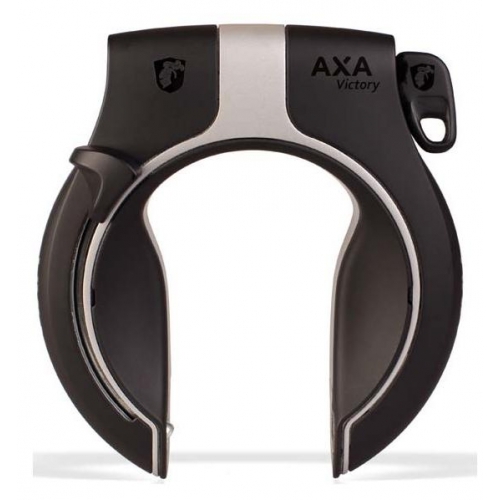 The AXA Victory lock is a new design of permanently mounted lock for bicycles which incorporates several improvements over the established (and already very secure) AXA Defender. The Victory improves on the Defender by having a hardened shackle, improved cylinder housing and more powerful plug-in locking system. It is assembled with welding all around by use of a new process and is claimed to be four times stronger than some other similar looking locks. The Victory has a larger internal size than the Defender and can be used on a wider variety of bikes - including many mountain bikes and balloon tyred bikes. The dimensions can be seen in the "additional images". 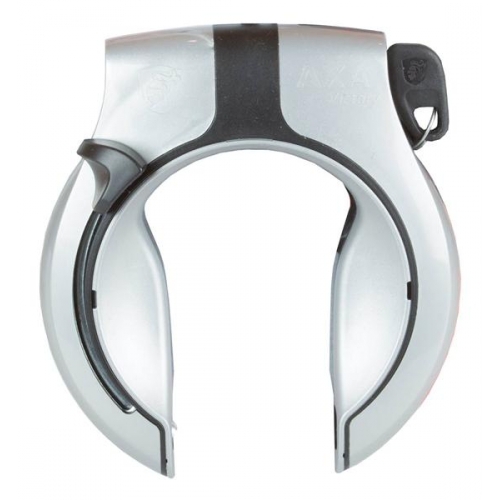 The lock is available without mounting parts, but most people will need to select the correct mounting parts for their bike at time of ordering using the options above. 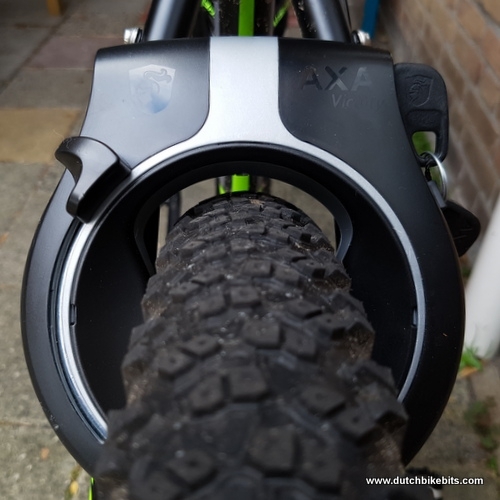 It is normal to mount the lock on the seat stays (tubes between the rear wheel hub and your saddle stem) so the mounting parts can be selected according to the diameter of the seat stays. An alternative method is to use the V-brake mounting kit to attach the lock on top of your brakes. This lock is compatible with all the same accessory chains and cables as the Defender. For ultimate security we suggest using the Victory with the DPI 110 chain which has also achieved ART** rating. Notes: As with all proper Dutch locks, the key is retained by the lock when the bicycle is unlocked. This is very convenient. You cannot possibly leave home without the key to your bicycle. Strap type mounting parts often supplied with the AXA Defender lock do not fit the AXA Victory. The parts which we offer for fitting do work. There is a risk when disturbing your brakes that you could make your bicycle dangerous. 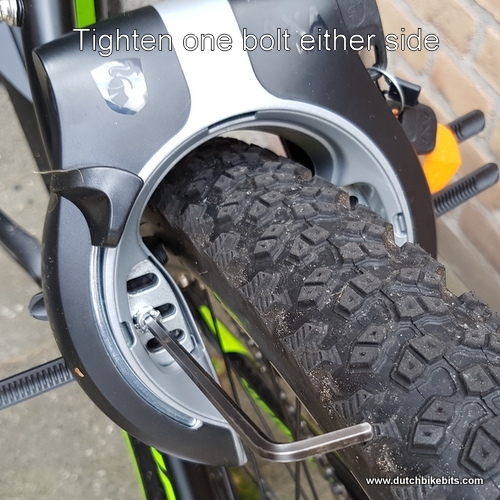 Therefore if you select the brake mounting option you should employ a qualified bicycle mechanic to mount the lock if you have any doubt at all about your abillity to do the job.